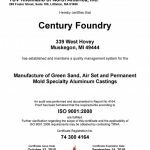 Capabilities – Century Foundry Inc.
With an entire facility dedicated to permanent mold aluminum casting, Century can cast your product for market quickly and efficiently. 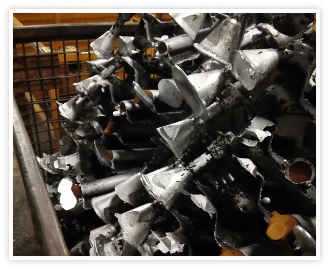 Our in-house shell and airset processes can quickly produce high quality cores for use with sand castings or the permanent mold process. We can out-source for specialty core processes. Sand castings are poured by hand with a vertical metal stream through gating and runners expertly designed by our in-house pattern shop professionals. Permanent mold castings can have vertical or tilt pour depending upon the needs of the part design. Casting cleanup begins with the removal of risers and gating. The revert material is recycled and reused to keep product and environmental costs at a minimum. We also provide full in-house casting finishing to prepare parts for polishing, burnishing, machining or coating. Century employs a highly experienced team to bring your design to reality. 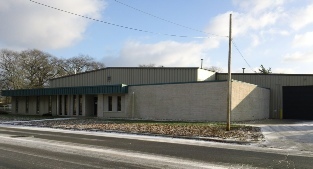 Our job shop and produce your prototype or specialty sand casting job with speed and agility in our airset department. Most of our customers prefer a stainless steel shot finish or a carbon steel blast finish. We also work with local sources to provide coatings, polish-for-paint and high-polish options.